Are you taking this ingredient? 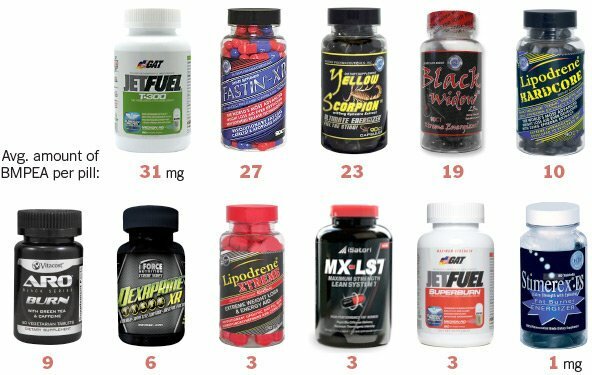 Harvard researchers have recently found an untested, unapproved stimulant lurking in numerous herbal weight-loss and workout supplements sold across the nation. Weight-loss programs and workout supplements are notorious for containing various ingredients that have not been subjected to safety trials or scientific scrutiny. Because both industries prey on those with two of the greatest desires in American society, they often play fast and loose with ingredients. What are those two enduring obsessions? Many women want to lose weight; a notable number of men want to look like Hercules. Unfortunately, the numerous companies that do business explicitly to meet these expectations are often known for cutting corners instead of abs. In their haste to bring their products to market, they often include herbal formulations that have not been properly vetted. Whether it is a single herb or a combination, they are sometimes high-powered plant medicinals which can have adverse reactions. Of all the nutraceutical lines and supplement products, those that target the weight loss and body-building audiences are the most suspect. Walk into any GNC and look at the growing number of weight loss and body-building brands which populate the shelves. Clearly, the demand has never been higher for these often substandard products. BMPEA, an amphetamine isomer, is just the latest ingredient to be found in many of these types of products. How does an amphetamine isomer make its way into a supplement product found on health store shelves? That question is now being answered very quickly in light of the many complaints filed with the FDA. The increasing number of complaints is following the very same pattern as the Ephedra scare that occurred back in 2004. That’s because both BMPEA and Ephedra produce some of the same reactions and symptoms. “Nobody can say for sure because there’s been no real testing. All anybody can do is compare it with substances it replaced, like ephedra, and another drug in the same family, DMAA. The very effects on heart rate and blood pressure Hi-Tech’s study found led to the banning of both ephedra and DMAA. Between 1995 and 1997, the FDA received over 900 reports of adverse events linked to possible ephedra toxicity including 37 classified as “serious” such as strokes, heart attacks, and deaths. While the public record of medical emergencies and urgent care visits due to BMPEA reactions is still developing, it is quite likely that users have had adverse experiences, but have yet to make the connection. Therein lies the real problem with many of these newfangled products with sketchy or incomplete ingredient lists. An individual may take these tainted products for years and never see the correlation between their increasingly serious symptoms and the sometimes unknown and potentially dangerous ingredients. Therefore, Natural Society is joining the cause of informing the unaware public of those products which contain BMPEA. We have also made aware how vitamin studies are often deceptive as harmful, synthetic vitamins are often the focus – as opposed to naturally occurring counterparts. It has never been more important to know exactly what ingredients are in the processed foods and supplements, pharmaceuticals, and nutraceuticals that you ingest on a daily basis. The more frequently and greater the amount that a supplement is taken, the greater the likelihood that adverse side effects will show up if toxic or inferior ingredients are used in the formulation. Ultimately, it would be wise to understand the “Law of Over-compensation” where it concerns the regular ingestion of any and all medicinal, herbal, and homeopathic aids. Simply put, the more that an individual relies on treating only the symptoms and never addresses the root causes of a disease or chronic illness, ache or pain, the more likely they are to over-compensate. Over-compensation can occur by way of over-medicating, over-supplementing or over-doing any treatment regime. Exercising or running too much are forms of over-compensation, as is taking too many weight loss pills and body-building supplements.